The AdamsMorgan Group is a performance – based service firm specializing in delivery of professional, administrative and management programs. Our focus is on organizational results based on performance measurements in the federal, state and local government sectors. In addition to our core professionals in the Midwest, we have strategically allied the AdamsMorgan Group with entities in the Washington, D.C. area and also in the western sector of the United States. This presents a unique approach to provide customized, cost contained services while meeting project success criteria. We provide our clients with the results they want through measurement from achieved results. We deliver services to our clients with efficiency and effectiveness. Integrating traditional work values with creative, technological approaches. Through actual management of projects, their experience, expertise and knowledge allow our professionals to contribute added value to attain desired results beyond specified focus. One of the benefits of our firm is that we have responsible associates performing the work. Managing geographical projects throughout the United States and its’ territories is something our associates are accustomed to. 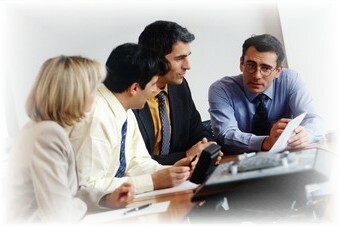 Each project has an assigned Project Manager and professionals who serve as team members. The assignment of personnel is based upon prior expertise, academic preparation and professional experience. The AdamsMorgan Group consists of professionals who are result driven and goal oriented. They understand the need to make decisions and execute their duties and responsibilities with precision. Project management processes and knowledge areas. Understanding the concept of “ Balance Scorecards” and our direct collaborative efforts. Meet criteria determined	by the client. Promote and foster beneficial relationships	with	all stakeholders of the project.